Welcome to Eirlinks.com - a resource for information on Golf in Ireland including golf clubs and courses, news and much more. Our comprehensive directory provides a searchable database of golf courses in Ireland and Northern Ireland. Courses can be searched by county, type, length and price. Ballyliffin Golf Club is on the north west coast of County Donegal. It was established in 1947. It consists of two links courses: the Old Links ourse and the Glashedy Links course. 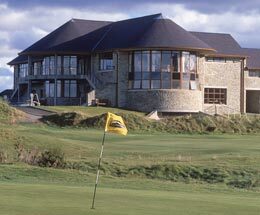 In April 2005 Faldo Design was commissioned to undertake the renovation of the Old Links course . Nick Faldo has had strong ties with the club for a number of years and Faldo Design was the obvious choice when the club decided to enhance and generally upgrade its layout late last year.